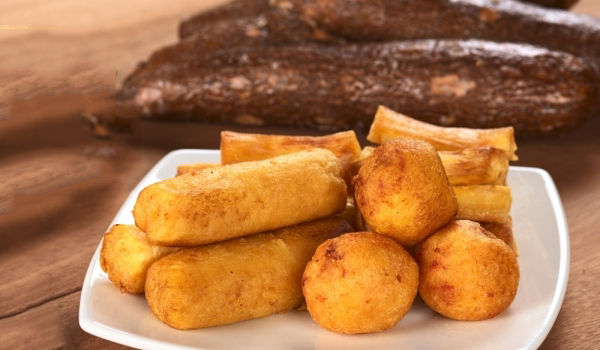 Culinary use of cassava is an evergreen shrub whose starch-rich root that resemble large long potatoes for millennia people have used for cooking. Manioc originally grew only in North and South America, and then began to grow in Africa and Asia. The fruits of manioc are really big – the biggest of them can reach almost ten kilograms. But consumption more pleasant young manioc root, so do not allow excessive development. When raw manioc roots contain poisonous to humans acid, so they must be very well cooked. Manioc roots are used mainly for the preparation of tapioca – flour, which is used in many types of dishes. To make tapioca, manioc roots are cleaned, grinded very finely, drained by using a press, dry and rub through a sieve. This yields the famous manioc flour. From this meal known as tapioca, bake bread and various cakes were prepared cereals and desserts, even producing alcohol. 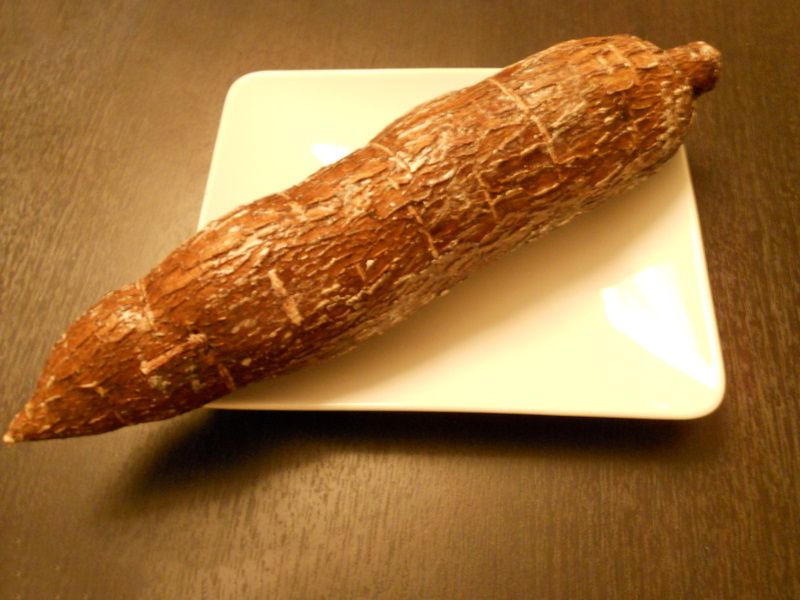 If you buy raw cassava root, you can peel, then cut it and fry it or boil. This will give you delicious food and garnish. After being peeled cassava is placed in cold water, in order not to darken. Tapioca you can make delicious cakes, especially suitable they are for people who have an allergy to wheat gluten. The cakes are made simple – just tapioca and water. Mix and make cakes that are baked in a pan, lightly brushed with oil. Very popular among Hispanics is a dish of fish soup and tapioca. One liter of broth is boiled and added tapioca. Boil until it starts to become a bubble, then allowed to cool. Most delicious and attractive form of tapioca pearls are white from the flour of cassava. They are boiled and from contact with hot water darken. Sprinkle with powdered sugar and served as dessert. To be more attractive pearls of tapioca are painted in different colors.